The First Conference of Micheal Witzel of Harvard University! 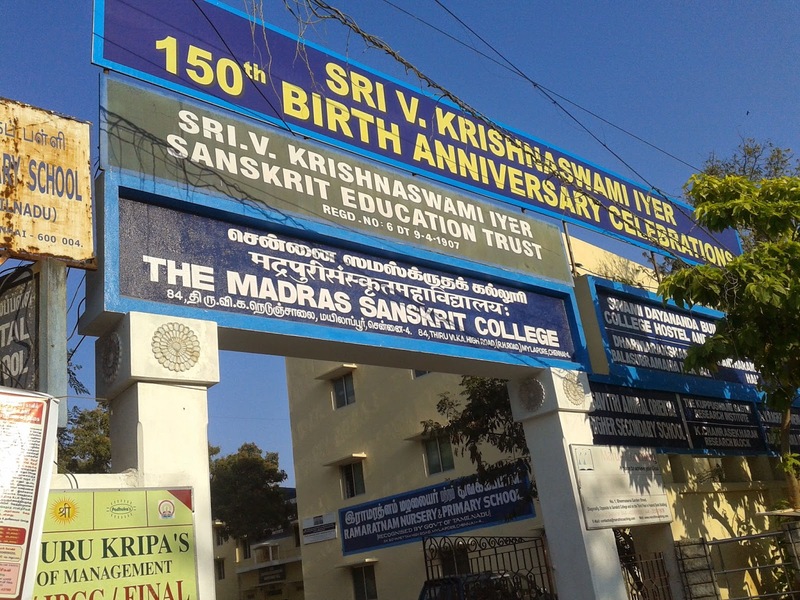 It has been again Sanskrit College, Chennai. The date is July 6, 2009 on the eve of Gurupurnima! 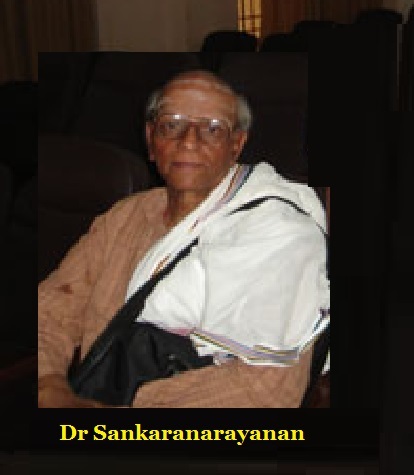 There is a meeting arranged by the Sanskrit College inviting the Sanskrit Professor of Harvard University. However, the websites declared it as a “conference”! 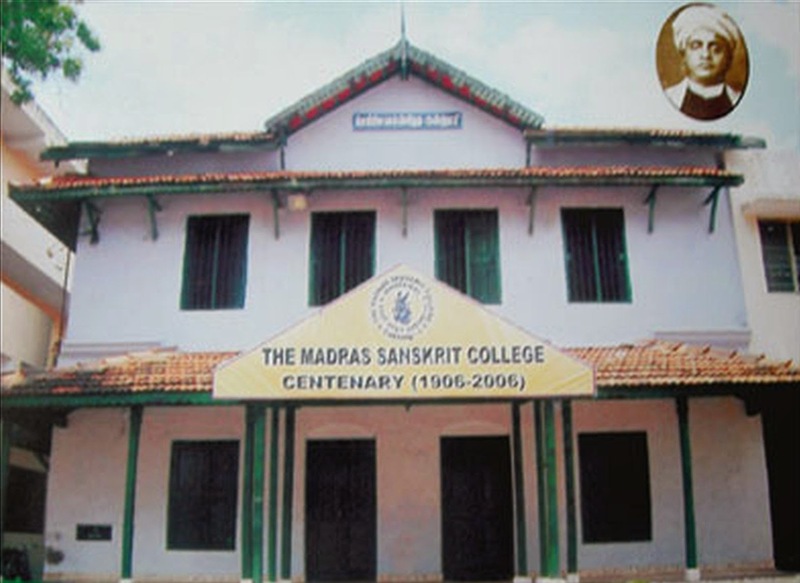 Dr N. Mahalingam gave the welcome address introducing the speaker Michael Witzel (hereinader mentioned as MW) as the suitable person to address the gathering at the Sanskrit College. He is 66, born in Germany and got Ph.D at the age of 29 and thus, the Sanskrit College Committee member Mahalingam went on eulogizing the so-called Sanskrit Professor of Harvard University. He says Witzel daily recites Rigveda but we Indians have forgotten Rigveda. As he and been expert in different fields and “his knowledge has expanded widely”. Rigveda has 4,32,000 sounds……Tilak dated it to 8000 BCE, but its date could even go before it, though the western scholars do not accept. The British declared that Rama and Krishna were not historical persons. L. D. Swamikkannu Pillai meddled with Indian chronology at the behest of the British, But Prof Srinivasa Raghavan of Vivekananda College with his astronomical methods fixed date of many important historical events. Both Sanskrit and Tamil are the ancient languages and every person, who knew Tamil, knew Sanskrit also some 200 years ago. After the British period only difference had cropped up in the name of Sanskrit and Tamil. Tolkappiyam has been the most ancient extant Tamil work, One American writer – Frank Joseph has written book on Lost Lemuria, who locates in South East Asia region that submerged some 54,000 YBP. Thus, recently, there had been a lot of research that brought out many important facts. He requested Witzel to go into these details in his linguistic study of the ancient languages. He had chosen the topic on “Rigveda and its language” (perhaps, culture and civilization also). After listing out his membership, briefing his academic profile etc., asserted that he was the right person to talk about the topic. He pointed out about MW’s work “Kataranyaka”, a rare work. Earlier it was part of Indian drama and was there in every village, but now it disappeared. Taittreya Upanishd should be read to understand it. 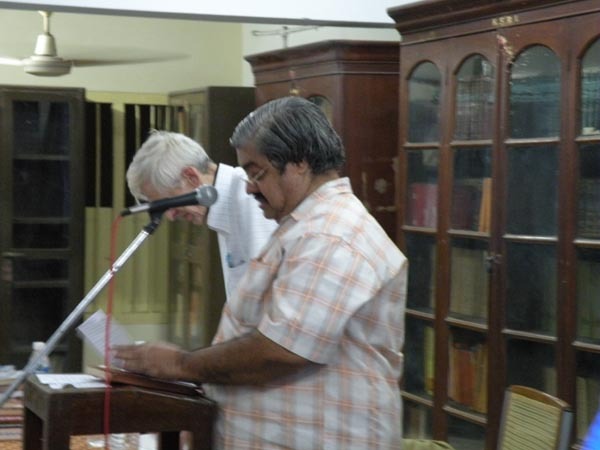 He asked MW to present a copy of the book to the KSRI library. Reciting a sloka on Max Mueller that says that Max Mueller was a Mokshamular, he changed it by inserting MW’s name, thus making him another such specie coming from Harvatika! The date of Rigveda cannot be decided as to whether it was 1000 BCE or 1500 BCE etc. It cannot be said definitely as belonging to pre-Harappa, Harappan or proto-Harappan period. Sanskrit was new, though it was old. The word “Sanskrit” was never used to denote a language till 600 CE. It was always used as adjective, till Dandi used it to denote a language. In fact, the language of Indian should be mentioned as “Bharati”, as the language of England is English, France French, the language of Bharat should be Bharati! Amarasimha says, “Brahmi Bharati”. In a partigular type of yagna, “Bharati” is invoked several times…….. It has to be noted that the Sanskrit inscriptions were found throughout India unlike other Indian languages. MW would then talk about the culture. “Culture” connotes properly cultivated behaviour…… There should be inward perfection for good culture…….., as external perfection may not exhibit true character………. Then, comes “civilization”, as it is “civilized status with civilized behaviour………. The compere intervened to announce as MW was preoccupied and there was shortage of time, there would not be any question answer session. He says that the e-mail of MW would be given and he would answer any question raised by the audience. Michael Witzel then started his “conference”: “I am happy to be here……tomorrow is Gurupurnima…and we have to remember our teachers…I studied in Allahabad during 1935-37 under my teachers…..Now, here, I will not talk politics and whatever I say, you may not agree with me, but still you ask questions, I may not answer….You may have other opinion also. As India has many sampradhayas, you can treat my views as another sampradhaya……….you may not agree with me, but kindly listen to me. If you have anby questions, I shall answer. “My study is based upon the inter-disciplinary approach…….the so-called Aryan invasion is outdated. It is a political discussion, but I would not talk about it. My discussion is based on the facts from the Rigveda….the scientific data derived from it…I do not think any genetic expert is here, but my study is based on such scientific principles also. There could be scope of misunderstanding about my theory with limitations, but we have to come to consensus……no doubt Rigveda has antiquity, it is an ancient hymn collection of bronze age. It is bronze age text and not of iron age or stone age……. “Another point may be agreed by you that the Rigveda was composed by the Rishis. It was composed with a particular type of poetics and alankara using specific syntax. The text was composed accordingly. Rigveda has geographic limits (showing a map covering north-east Punjab area and some parts of Haryana)………..In Afghanisthan also there is a Sarayu, but not that of Ayodhya. “Different languages were spoken in India….Para-munda in the northern India covering Punjab, Kashmir areas…….Munda in MP…. (showing a map). Rigveda has a pluralistic language and it could be understood with certain tricks…..If Sanskrit is read differently, we could understand Avestha also. This has been the linguistic sampradhaya………(he was obviously skipping the explanation). On the top of the Himalayas, certain words are used and they are not used on the plains. And these words were coming from tropical climatic areas…….The poetic-alankara used has been close to the Greek……..
“Coming to the Soma plant, it is located in Central Asia near Tajikistan and it came to Iran from Central Asia and then to India. In the words, Yama-yam…also such migration could be noted. People were living in more populated and less populated areas / clusters. The higher level of religion was dominated by the Brahmins and Kshatriyas……then comes Daas / Dasyus and they were accommodated accordingly………City formation had been there accordingly…..Recent archaeological evidences of Haryana also show such pattern. “Different language groups existed thus in different areas (showing a map through PP). Dravidian languages were spoken in the Southern area (showing the four states – Tamilnadu, AP, Kerala and Karnataka), “Former Dravidian areas” (showing Maharastra), Indus (Sindhu area), Language-X (UP), Khasi (Assam), ……..”Former Austro-Asiatic Areas?” (was shown in between the UP and MP from IVC / Rajasthan to Orissa)…..
“Coming to the so-called Siva or Pasupathi (showing the IVC seal, M-304), actually it is not known what is this deity. How the IVC people called him, we do not know. He – the horned god – is surrounded with four animals and there has been another figure where “a hunter killing a water buffalo in front of a seated horned deity” (Kenoyer). There has been another seal where “a man fighting short horned bull” (Kenoyer). You can see similar figure from Denmark also (showing the photo of Gundestrup Cauldron, though he did not mention so). Here also he is surrounded with four different animals If you compare both (showing both figures side by side with IVC seal inverted), we can say, he is not Siva, but some other deity….. This is Mahishashuramardhini. It is not known how the Mahishashuramardhini appears in Hinduism later. Think about it. Is there any link? “The people followed both burial and crematory practices…………..
“There is another figure where inside a female, a human figure is shown (showing a seal), perhaps spirit. Its significance has to be studied. “Now genetic methods are applied to find out the details. Suppose, if your saliva is taken and tested, details would be known to tell who is your father, mother etc. But I do not know how many of you know genetics……Recently, some Indian scholars have brought out data on such genetic studies about the people of India. Their data represented show that the south Indian tribals and Kashmir Brahmins belonged to the same stock. But still, you can find some groups are left out or fall outside the pattern represented. Who are those people? They are from Assam, Nagas and others. “The picture about the IVC and the Rivedic people has been complicated. Data and information can be obtained from different fields, but they have to be studied together carefully. “So I stop here and I would like to answer two three questions, if any one of audience would like to do so”. There has been a Bogozkai inscription dated to circa 1450 BCE which specifically mentions about a treaty in which the people invoked the so-called Vedic gods or the Rigvedic gods as mentioned by you according to your sampradhaya. How you correlate and corroborate them linguistically, archaeologically, and chronologically with your sampradhaya? You have shown two pictures one from IVC and another from Denmark and telling that the so-called deity represented is not that of Rigvedic, though the deity is surrounded by the animals. How could you differentiate it from your sampradhaya and Indian sampradhaya? Micheal Witzel started answering, but he could not even name the so-called Vedic gods mentioned and Rao was naming as – “Indrasil, Mitrasil, Varunasil, Nasattyas”. He accepted that they were Vedic gods, though the Mittanic people were invoking them after their gods and the language used was like Vedic Sanskrit only. Of course, there is chronological gap. Rao was asking about the correlation – pointing out how the Soma drinking, Rigvedic Sanskrit speaking people migrating from Central Asia to Iran to India could mention about such deities, how the Mittanis? 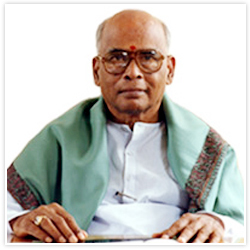 N. Mahalingam intervened and telling that there should not be discussion and Mahadevan was urging to wind up. But Rao was responding that it was important because Indians had been told about such stuff again and again for the last 60 years. He insisted that his e-mail should be given as promised and his full text of the paper also made available for discussion. When Iravatham Mahadevaninterved that it was not possible, Rao requested that at least Michael Witzel could send a copy through e-mail. Micheal Witzel was seen nodding his head and he gave his visiting card to Rao. Of course, he did not answer the second question. In fact, one person from the audience reminded about this, but the organizers did not care. The compe’re again intervened and proceeded to thanksgiving. Then, Dr Deviprasad, the Principal of Sanskrit College talked to point out that the Rigvedic culture cannot be separated from the Indian culture. It is the Indian tradition that worships trees, rivers and mountains even by deification. Of course, the westerners interpret differently. He added that Michael Witzel had not completed his speech and in fact, he might take few hours to complete his talk! Thus the meeting / Conference was over! While coming out I saw Haran and another were distributing four-page handout about Michae Witzel (while entering I saw Haran and Radha Rajan were arguing with the police). So when I enquired with the police, the organizers had given a complaint asking for protection of the speaker. When I told them that those who had come there were educated and elite and not of such category as apprehended. I told that the speaker was telling that Siva is not Indian god and so on. The officer retorted, “Is it so? How then that IAS officer Iravatham Mahadevan was keeping quite? He knows everything”. The police informed that they had not obtained permission to stage demonstration against the meeting. The officer added that every body has a right to demonstrate, but they should have obtained prior permission. Note: This has been prepared based on the notes noted down during the meeting. There are some points to be clarified. And therefore, certain points may be added or amended accordingly later. Can it be considered as “Teacher’s Day”, the real “Teacher’s Day? Some “Asiatic” website. In fact, it declares that Micheal Witzel would be participating in three conferences to be held in India! Is not the shame for Indians to confess so. Who has told Indians not to recite Rigveda daily? In fact, the full title of his paper or talk was not known, as nothing was mentioned about it. Sampradhaya is used as equivalent to tradition, traditional way of practice etc., but it might be using in the sense of “methodology”. Jonathan Mark Kenoyer, Ancient Cities of the Indus Valley Civilization, Oxford University Press, Karachi, Pakistan, 2000, p.112, fig.6.18. Ibid, p.115, Fig. 6.25, a.
 Myles Dillon, Celts and Aryans, Indian Institute of Advanced study, Simla, 1975, Picture.7. It is mentioned asa the Horned God (Cernumnos?) as Lord of Animals (Pasupathi). When he asked Asko Parpola last year, why his paper was prevented by Michael Witzel, whether he was presenting the same paper that he presented at Tokyo, though Asko Parpola started to answer, Iravatham Mahadevan prevented Parpola to tell the details under the pretext of shortage of time and declaed to wind up the meeting! As the expression “Sampradhaya” was used by MW repeatedly to assert his interpretation over others and insisted that his way of interpretation should be accepted by the Indian Pundits, obviously he was using such expression.